This set, complete with muslin, is a fancy version of Pixi's Double Cleanse. 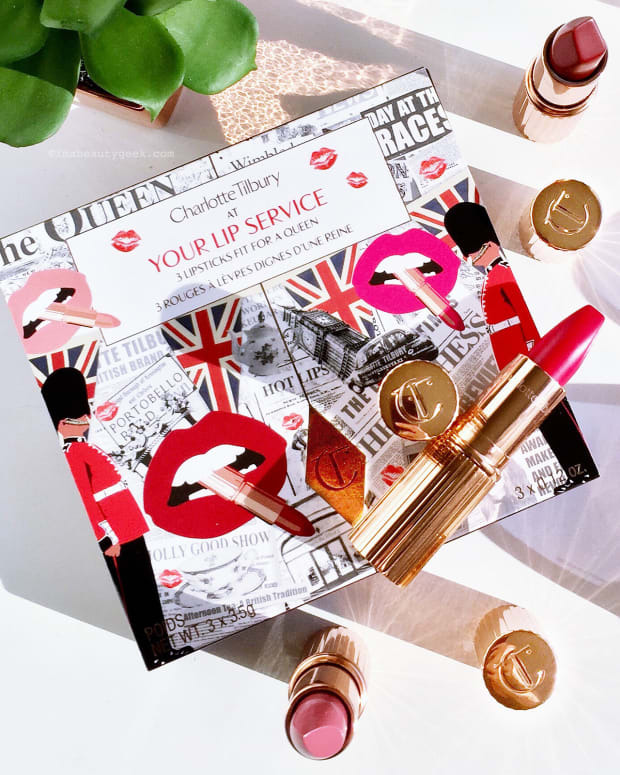 Do you need the Charlotte Tilbury Goddess Cleansing Ritual Duo in your skincare regimen? No, of course not. But oh my, it sure is lovely to have, especially if you&apos;re all about skincare that starts with a good cleanse that leaves the complexion soft and radiant. Bonus points if you nurture an appreciation for indulgent beauty rituals, or you&apos;ve ever posted on Instagram with "#selfcare." My go-to cleanser is micellar, and usually I&apos;m so thorough that I don&apos;t need a second cleanse, whether via gel, or oil, or balm. This Citrus Oil Radiance Cleanse finds its way into my regimen on days I want a skincare treat. It feels deliciously melty, rinses cleanly away, and leaves skin softer and I swear more hydrated than any other oil formula I&apos;ve tried. 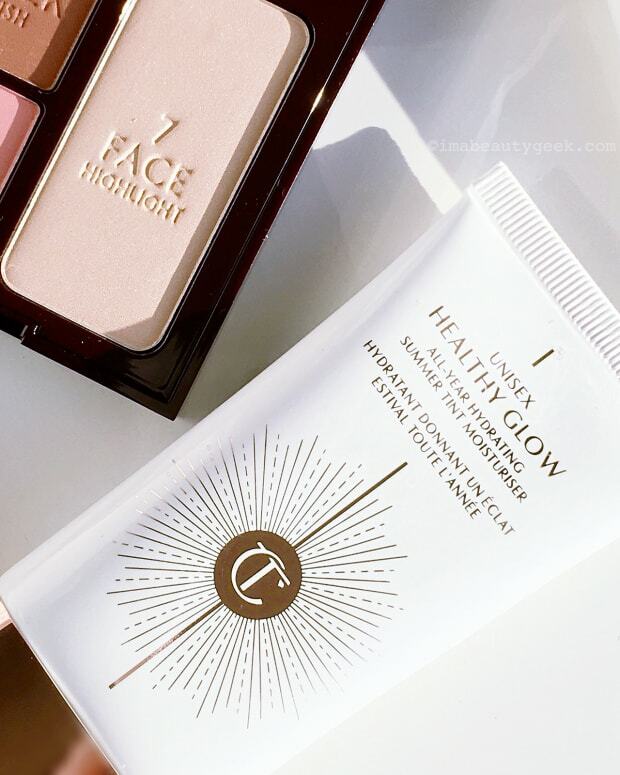 Step two in the Charlotte Tilbury Goddess Cleansing Ritual Duo ($55 CAD and $46 USD at sephora.com) is the Purifying Charcoal Cleanse. This is more of an occasional-use formula than the oil for me; I&apos;m so much more aggressive about hydration than purification. (That said, I&apos;ll use Charcoal Cleanse more often in hot weather.) Lovely and creamy, it&apos;s a little softer than clay and delivers a more hydrated result than you might expect. Dry skin should have no problem with this formula. I like the muslin cloth. Some won&apos;t – it&apos;s terrifying when you take it out of the box, so stiff that your fingertips might mistake it for sanding paper, and it remains somewhat abrasive after you&apos;ve wet it and used it repeatedly. But I like it as a little manual exfoliation. In fact, I use it with other cleansers I&apos;ve been trying too, and I take it with me when I travel. Have you tried this set? Do you think you might? Do you already have a favourite oil cleanser and/or charcoal cleanser? 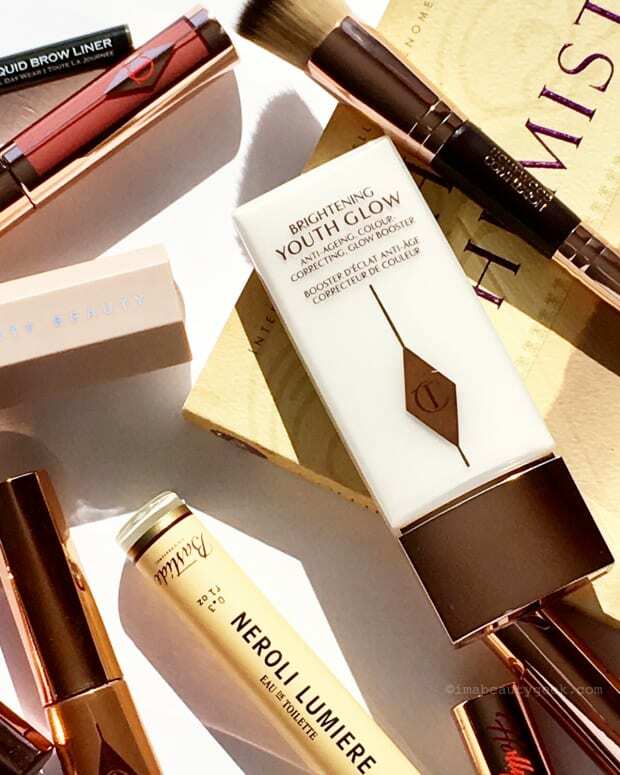 Charlotte Tilbury Goddess Cleansing Ritual – Citrus Oil Radiance Cleanse ingredients: Caprylic/Capric Triglyceride, Coconut Alkanes, Glycerin, C13-15 Alkane, Aqua/Water/Eau, Coco-Caprylate/Caprate, Sucrose Laurate, Citrullus Lanatus (Watermelon) Seed Oil, Plukenetia Volubilis Seed Oil, Ascorbyl Tetraisopalmitate, Parfum (Fragrance), Platonia Insignis Seed Butter, Sucrose Stearate, Citrus Aurantium Bergamia (Bergamot) Peel Oil, Helianthus Annuus (Sunflower) Seed Oil, Tocopherol, Citrus Limon (Lemon) Peel Oil, Sucrose Palmitate, Beta-Carotene, Daucus Carota Sativa (Carrot) Root Extract, Daucus Carota Sativa (Carrot) Seed Oil, Ascorbyl Palmitate, Citronellol, Geraniol, Limonene, Linalool. 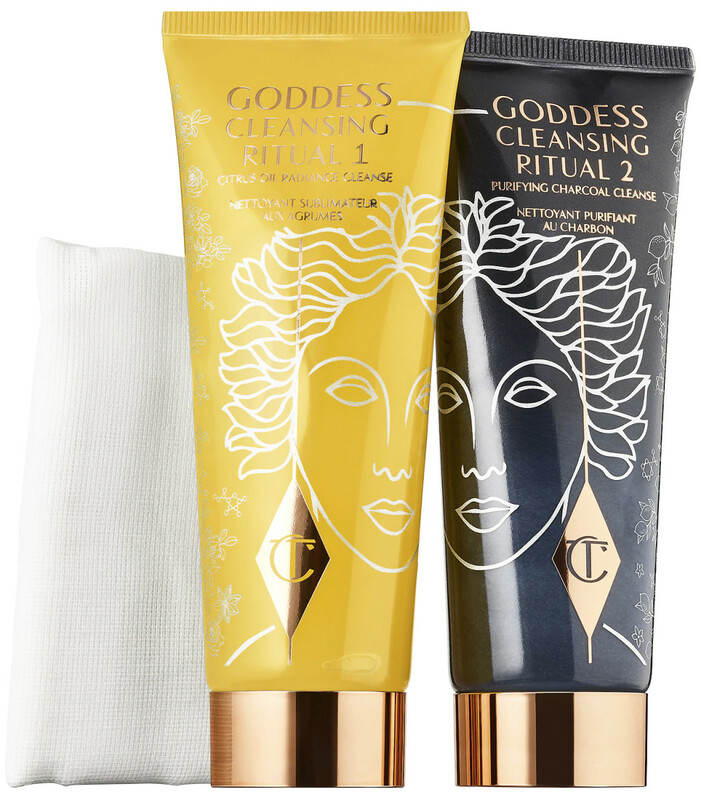 Charlotte Tilbury Goddess Cleansing Ritual Duo – Purifying Charcoal Cleanse ingredients: Aqua/Water/Eau, Glycerin, Sodium Cocoyl Glycinate, Cocamidopropyl Betaine, Galactoarabinan, Decyl Glucoside, Citric Acid, Charcoal Powder, Niacinamide, Peat, Sodium Chloride, Sodium Citrate, Xanthan Gum, Parfum (Fragrance), Sodium Benzoate, Potassium Sorbate, Citrus Aurantium Bergamia (Bergamot) Peel Oil, Citrus Limon (Lemon) Peel Oil, Phenoxyethanol, Citronellol, Geraniol, Limonene, Linalool.